Liverpool’s first away game of the season sees them travel to Crystal Palace; here are all the bests stats and facts ahead of kick-off. 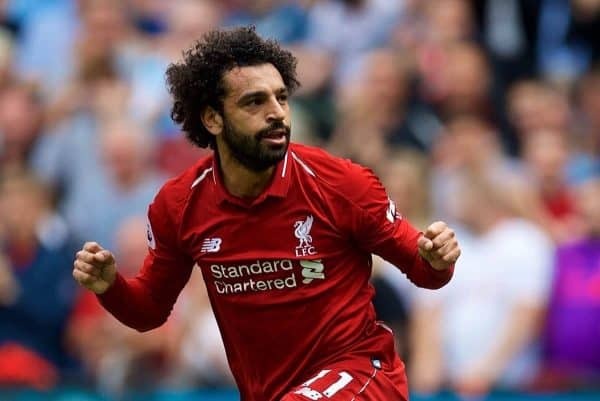 Mo Salah goes into this game having scored 29 goals in his last 29 Premier League appearances. In the 18 Premier League clashes between the teams there have been 63 goals scored, at an average of 3.5 goals per game, with Liverpool scoring in all but two of the meetings. There have been two goalless draws in all league fixtures between the teams, in 1979-80 at Selhurst Park and in December 1994 at Anfield. Liverpool have kept one clean sheet in the last 15 league and cup meetings with Palace home and away; the one they kept at Anfield a year ago was their first in the league since 1997. At Selhurst Park, the Reds have kept one clean sheet in the last 11 league visits—a 3-0 victory in 1997. Liverpool have themselves scored in 13 of the last 14 Premier League clashes, netting in all of the previous 10. 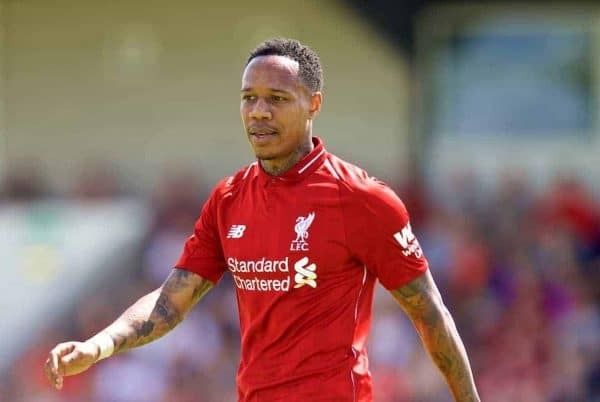 Nathaniel Clyne played 137 times for Palace in 4 seasons scoring once before joining Southampton in 2012. Martin Kelly played 62 times for the Reds during his time at Anfield, scoring once. Mamadou Sakho played 80 times for the Reds in all competitions, scoring three times. 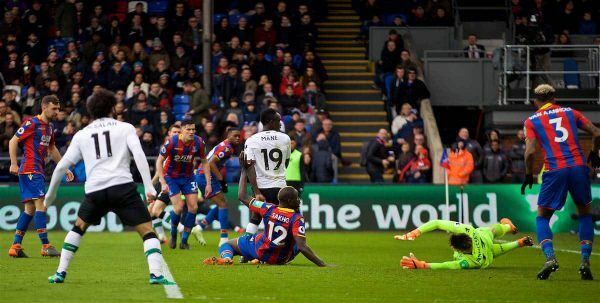 Sadio Mane has scored five times in eight games against Palace in his career. Should he score in this game he will be the first Liverpool player to score in three successive league games against the Eagles. James Milner was sent-off here in March 2016 with Liverpool trailing by a single goal, but Christian Benteke’s stoppage-time winner for the Reds meant it was the first-ever known occasion that Liverpool had come from behind with 10 men to win a game. Jurgen Klopp‘s first defeat as Liverpool manager came at the hands of Palace in November 2015, his seventh game in charge. Daniel Sturridge could make his 100th league appearance for the club and his next league goal will see him reach 50 in the Premier League for the Reds. 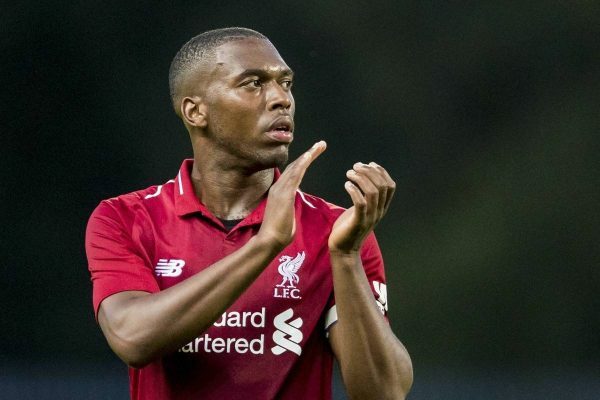 No Liverpool substitute has ever scored more league goals for the Reds than Daniel Sturridge (nine), while he is equal-second on the club’s all-time list in all competitions with 12 (alongside Ryan Babel). David Fairclough, with 18, holds the record. Palace have not lost in the league (seven games) since losing to Liverpool at Selhurst Park in March. 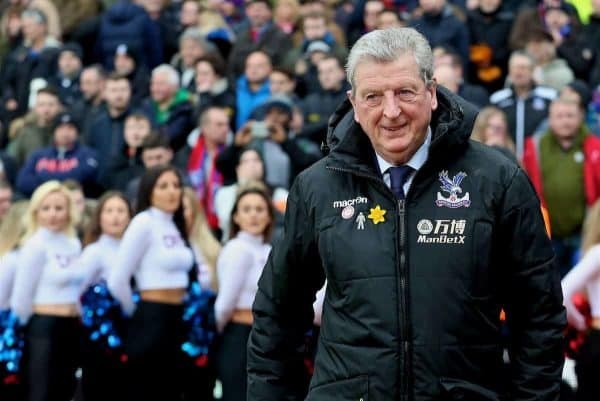 Roy Hodgson has managed in 11 games against Liverpool, winning three, drawing four and losing four. As Liverpool manager from July 2010 to January 2011, he won 13 of 31 games in charge in all competitions, losing 10.